E-Quip Blog: Are You Clear on Project Goals? Project goals define what the project should achieve—in other words, what the desired end results are. This means going beyond simply completing a scope of work on budget and on schedule. Project goals should define how the finished project will satisfy the client’s needs and priorities. Effective goals also encompass both the tangible and intangible positive results of your work. Define priorities. Meet with the client and other key stakeholders to identify both their (1) vision of the desired end result and (2) what outcomes are most important. Project goals should reflect the client's priorities, not what's important to the PM and the project team. These client-centered goals help keep the project on track when various technical and logistical issues threaten to distract the team. 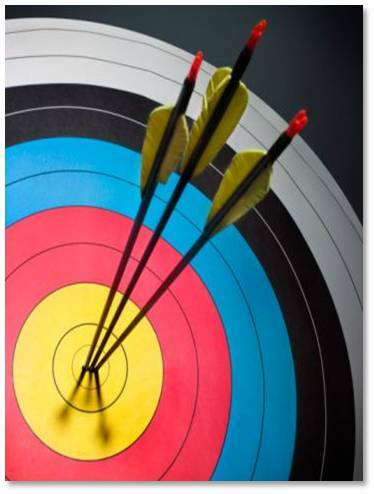 Achieve goal alignment among key stakeholders. Of course, it's important that all parties have a shared vision for the project and its desired outcomes. The PM should confirm that there is agreement on project goals among members of the client organization and other key stakeholders. If alignment is lacking, you should try to facilitate agreement on goals among the parties critical to the project's success before proceeding further. Communicate goals to the project team. A common mistake is to communicate only task assignments to the team. To encourage better performance and coordination, it's important that all team members understand overriding project goals. This enables them to see how their roles fit into the big picture, to better support other team members, and to identify opportunities to add value for the client. Gain endorsement. Leveraging project goals to achieve success involves more than simply communicating them and getting agreement. There must also be a shared commitment to work together towards achieving the desired outcomes. Gaining endorsement means getting formal or informal commitment from project participants and stakeholders to fulfill their various project responsibilities.